Discover Mizu. Everything you could ever dream of, all in one towel. You'll wish you discovered it sooner. 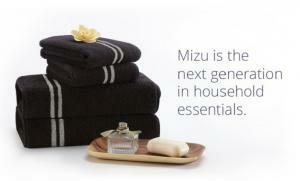 LOS ANGELES, CA, UNITED STATES, April 16, 2019 /EINPresswire.com/ -- Mizu is the world’s first smart towel that tells you when it’s dirty. It has solvatochromic stripes that change color when they come into contact with impurities, so the user knows when to clean it. After months of development and testing by Cornell and MIT laureates, Mizu has launched on ecommerce to great success and steadily increasing demand. Mizu ships worldwide and is available for purchase at www.mizutowel.com. 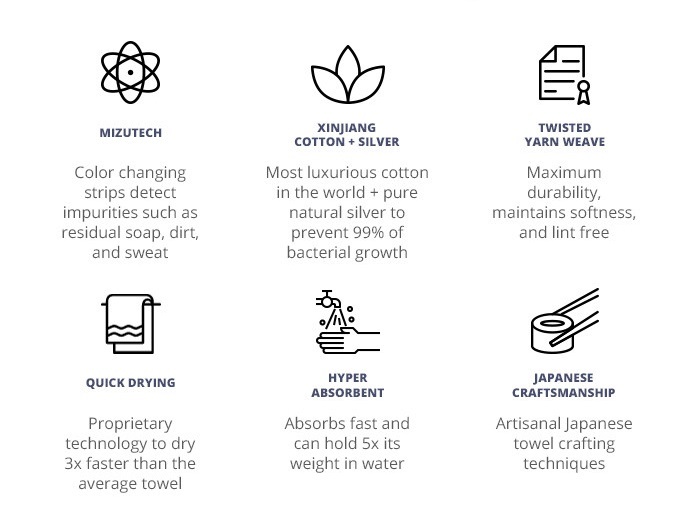 The founders of Mizu sought to make the world a cleaner place through a new line of smart fabrics that both resist contamination and also alert the user of when to wash. They successfully developed a prototype smart towel, but they knew that a smart towel alone would not be enough to succeed - they had to make a towel that people actually wanted to buy.